This entry was posted in acts of mercy, death, depression, faith, family, funeral, grief, in memoriam, The Love Project and tagged bereavement, death of a child, grief, HuffPost, Jackie Moore, The Love Project by heidihesssaxton. Bookmark the permalink. Listening to someone, especially a bereaved parent, who has lost a loved one a wonderful gift. Walking with them for the long haul is also a wonderful gift. Bereaved parents, in particular, often walk a long and lonely journey. Our son and his best friend died when they were broadsided by a drunk driver. He, too, was 19 years old, and his death nearly killed me. It’s been a long journey, for sure, when people who are normally kind had a tendency to disappear rather than walk through such deep and prolonged grief that accompanies the death of a child. Rebecca: Thank you so much for taking time to write about your experience. I’m so sorry for your loss — what a terrible thing to endure. Heavenly Father, hold your daughter Rebecca especially close to your heart today. 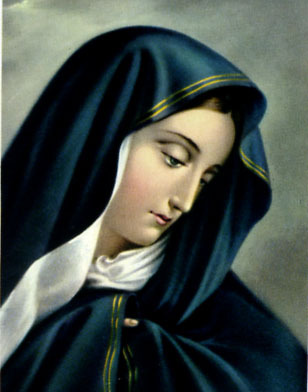 Blessed Mother, you know what it is to lose a son through a violent death. Pray for Rebecca and her family, that they would experience light in their shadows. Amen.